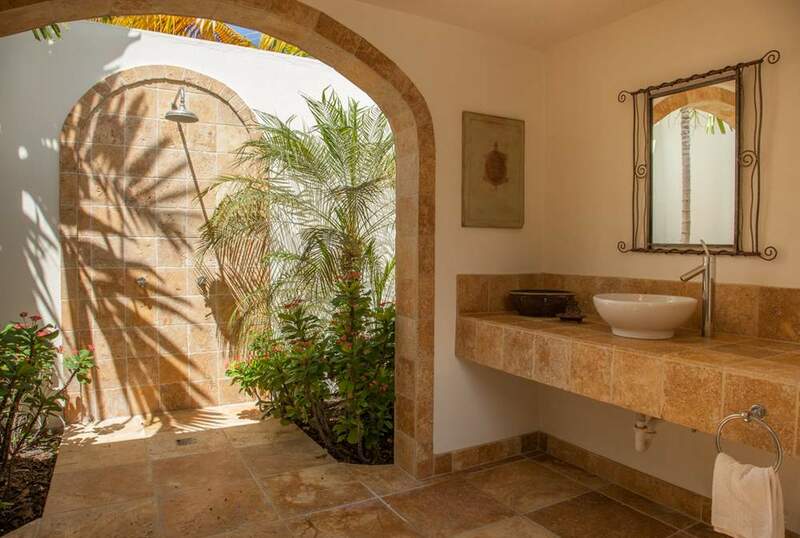 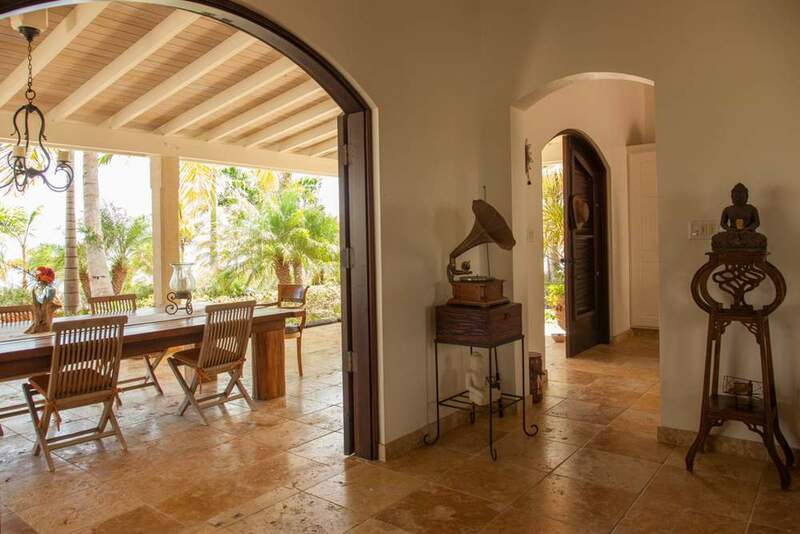 4 Bedrooms – A charming, sophisticatedly decorated vacation villa in Antigua, surrounded by a beautiful landscaped garden, in front of the bay. 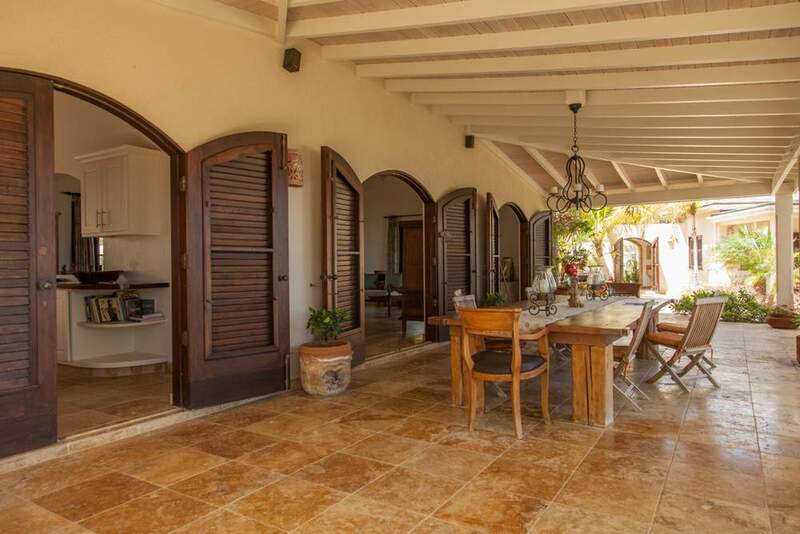 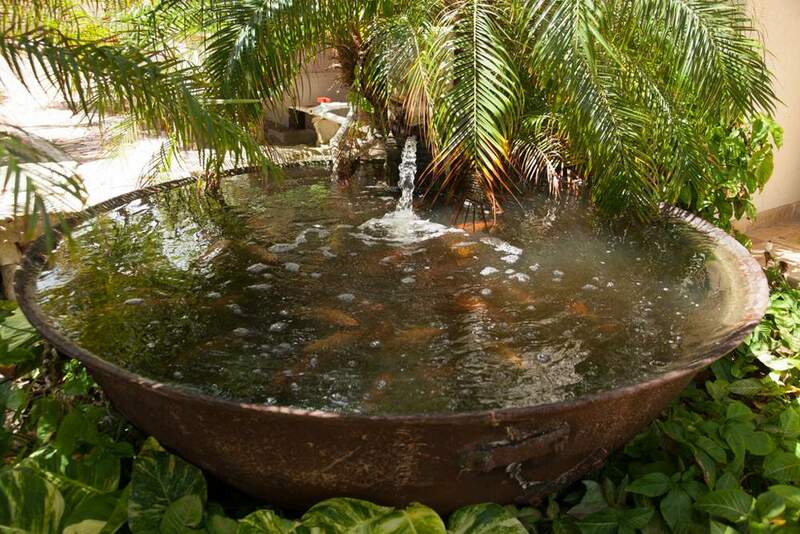 The property is comprised of three Caribbean-style living quarters, each separate and private, interconnected with walkways. 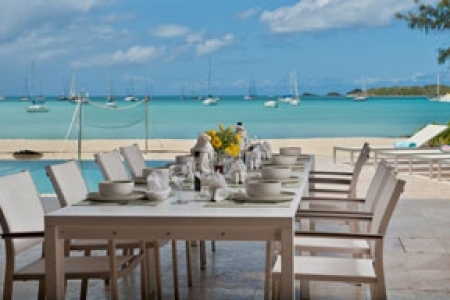 Brown's Bay is located on the east coast of Antigua, near to NonSuch Bay Resort with its lovely beach and restaurant called "The Bay". 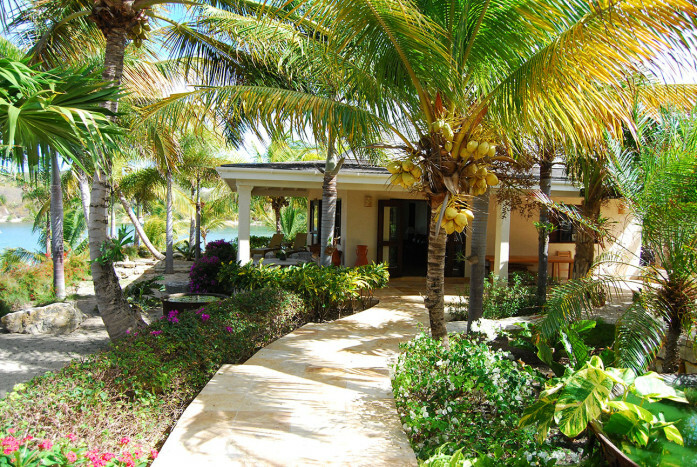 Half Moon Bay, considered the best beach of Antigua, is located at few minute drive from the villa. 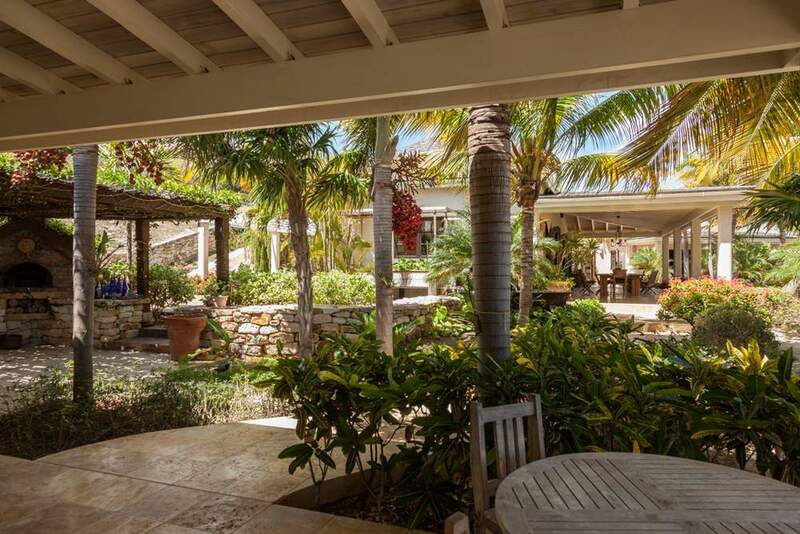 The east coast of Antigua is charming as it boasts amazing natural sceneries since it is less inhabited and developed than other locations on island. 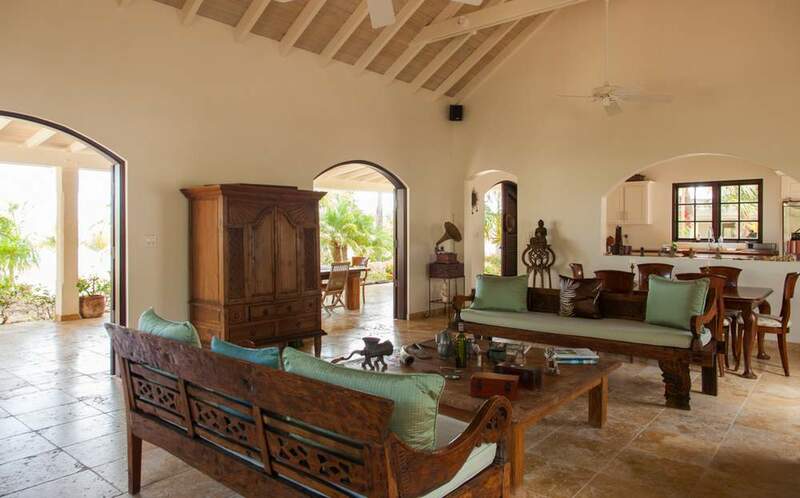 The area is ideally suited for a peaceful vacation in the Caribbean. 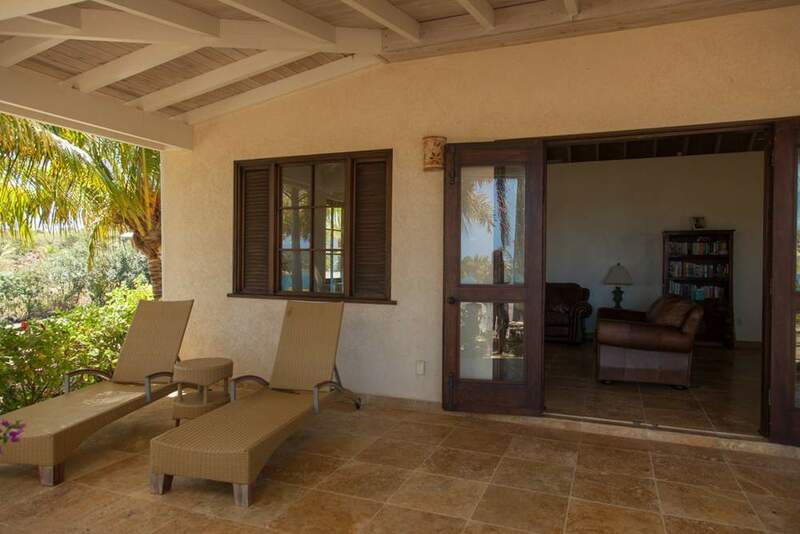 Secluded retreat in a natural setting, at the edge of the beach. 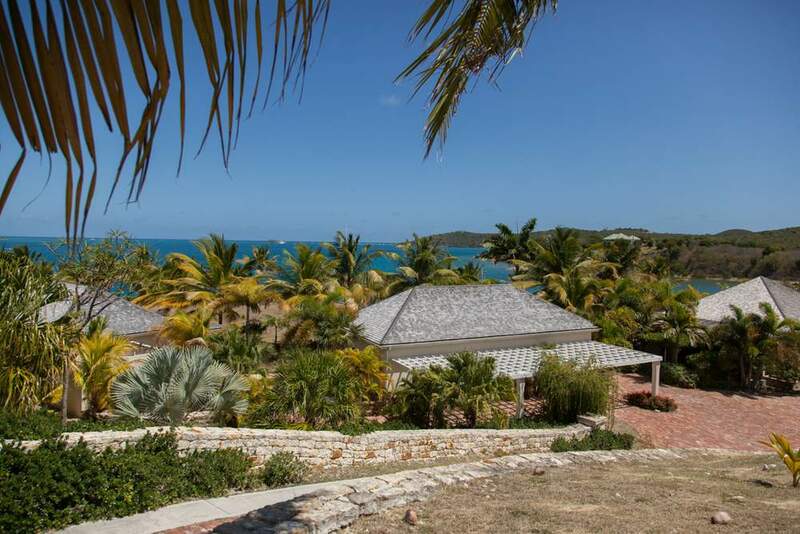 Set on a private 3 acres of beachfront land, this holiday home offers an excellent base to enjoy Antigua and to withdraw from the busy world - everything is just a pleasure at sigh inside this tranquil estate. 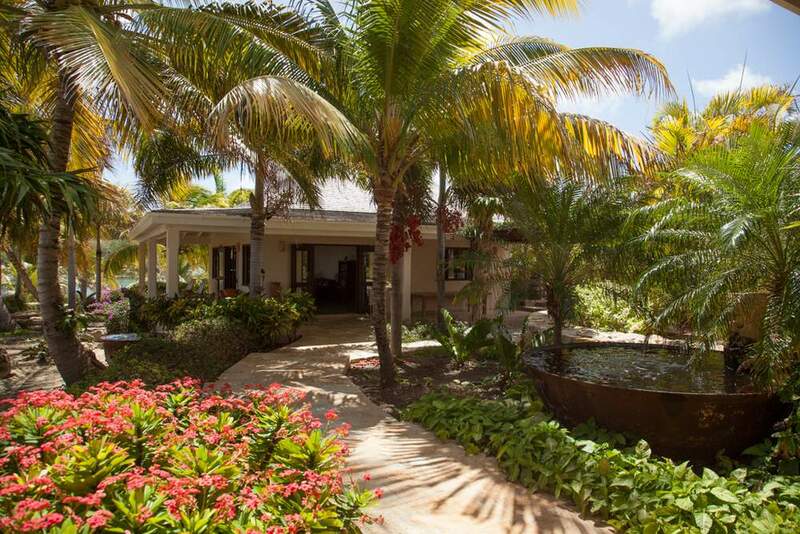 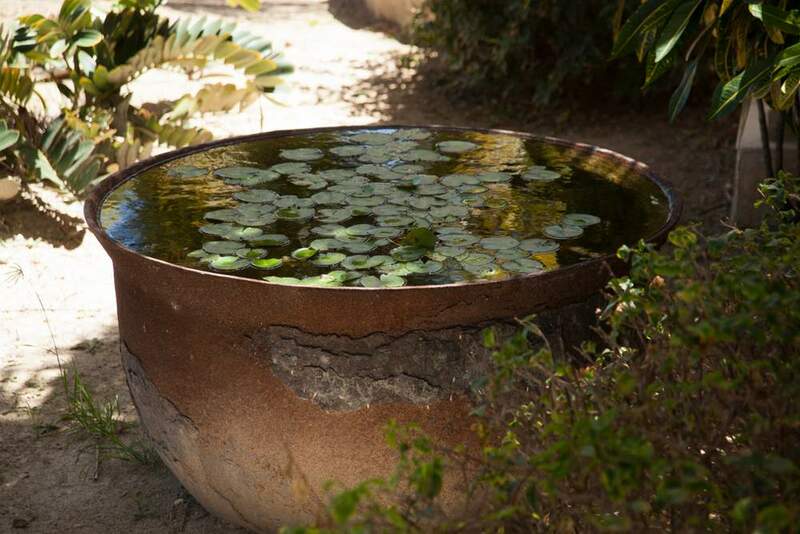 A beautiful, well-maintained landscaped garden surrounds the villa, and children can safely play on its extensive ground. 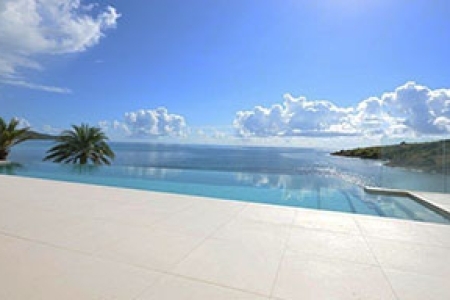 The view of the Atlantic Ocean and the bay are wonderful, and they instill a sense of calm and tranquility. 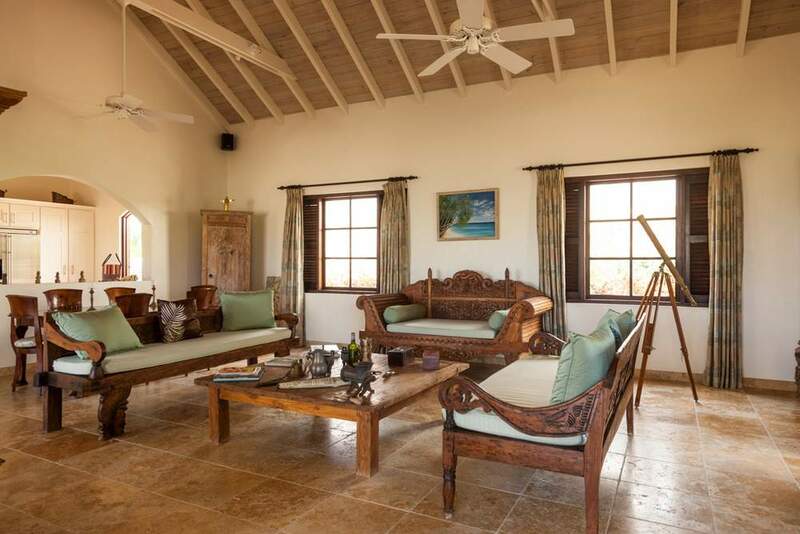 The view of the Atlantic Ocean and the bay are wonderful, and they instil a sense of calm and tranquillity. 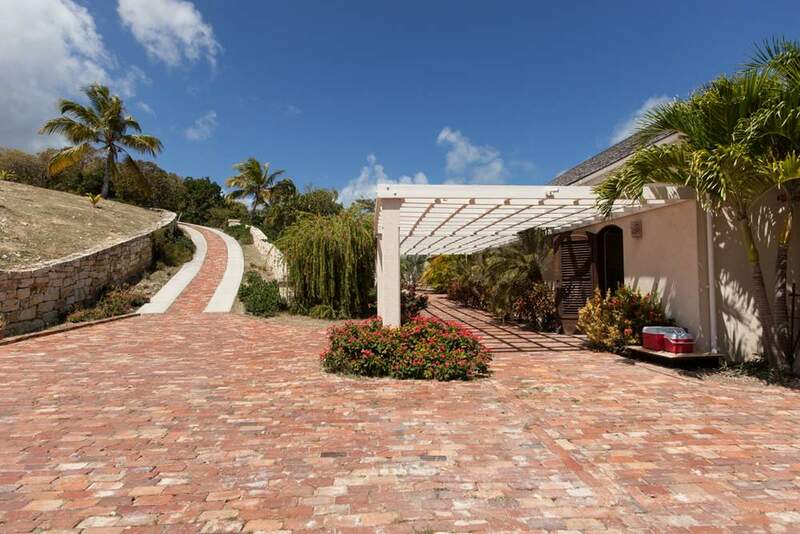 The property comprises three Caribbean-style living cottages interconnected by a series of natural stone paved walkways. 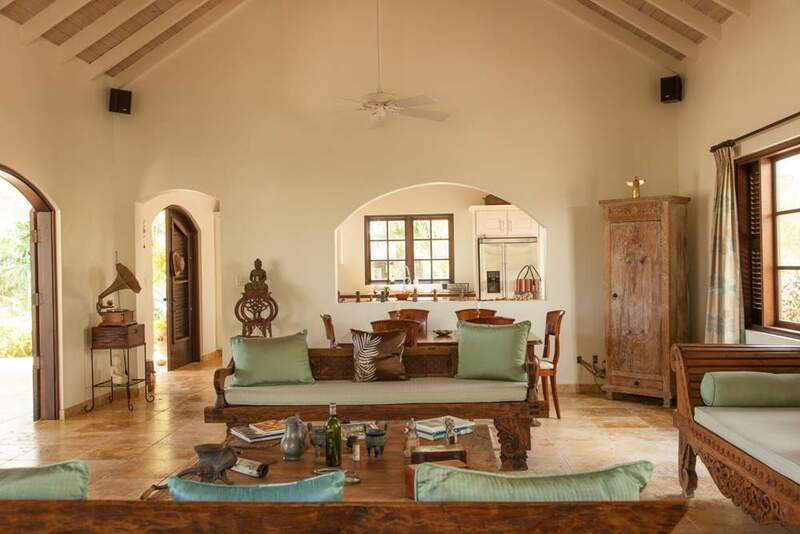 The central cottage includes the common areas: kitchen, dining and living room, and the veranda. 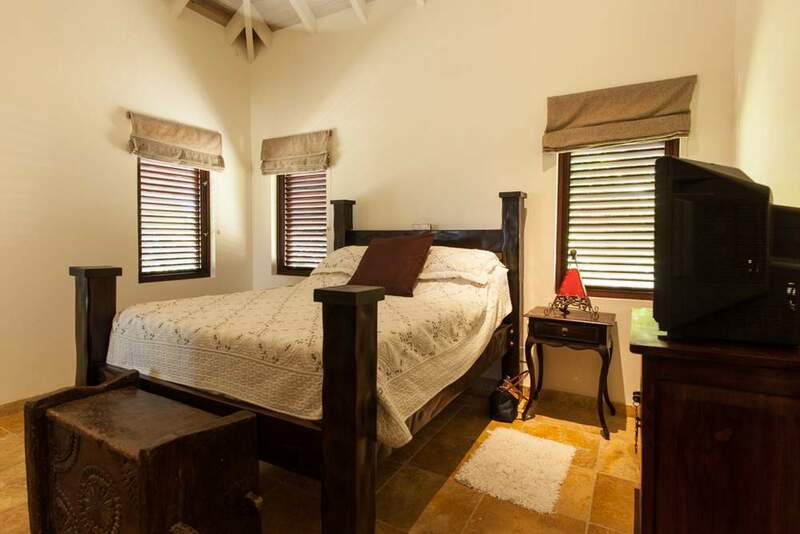 The two cottages at the opposite sides of the central quarter have two bedrooms each. 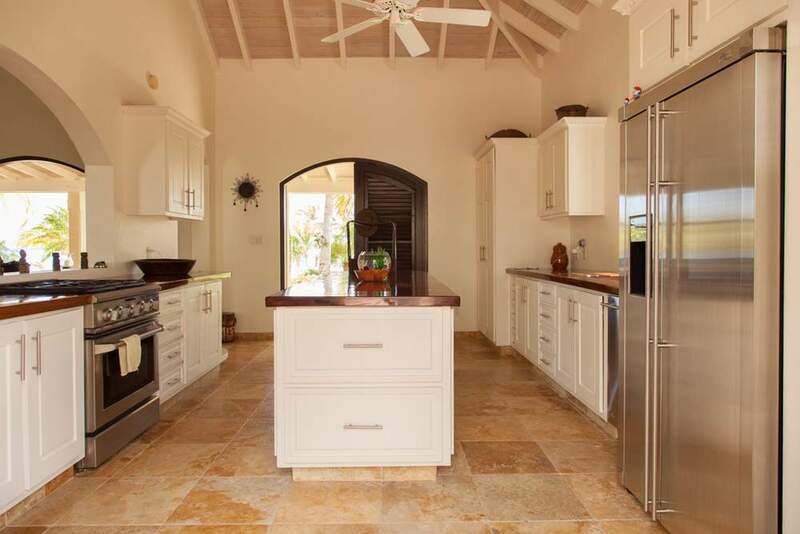 The villa includes: four bedrooms, four bathrooms, guest bathroom, living room, internal and external dining room, kitchen, TV room, outdoor lounge areas, lounge chairs, pizza oven, custom made Antiguan style BBQ. 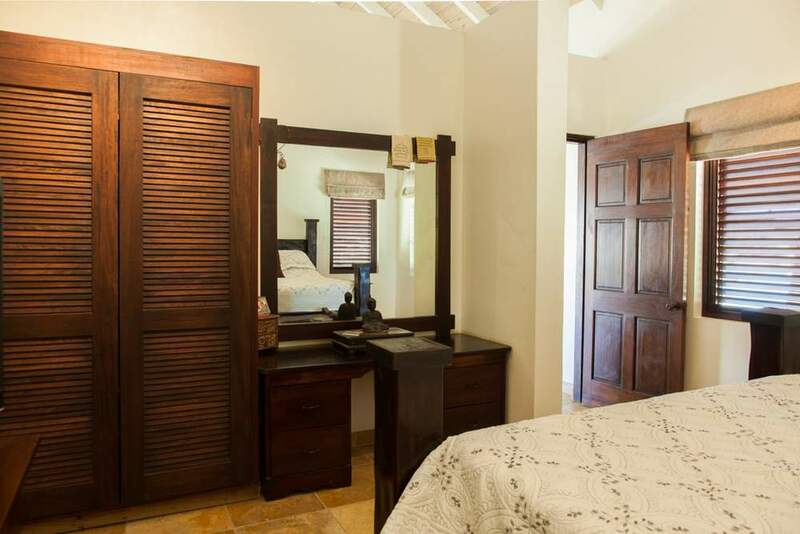 The villa has four elegant bedrooms with access on the veranda and the garden, and comfortably accommodate six adults and two children. 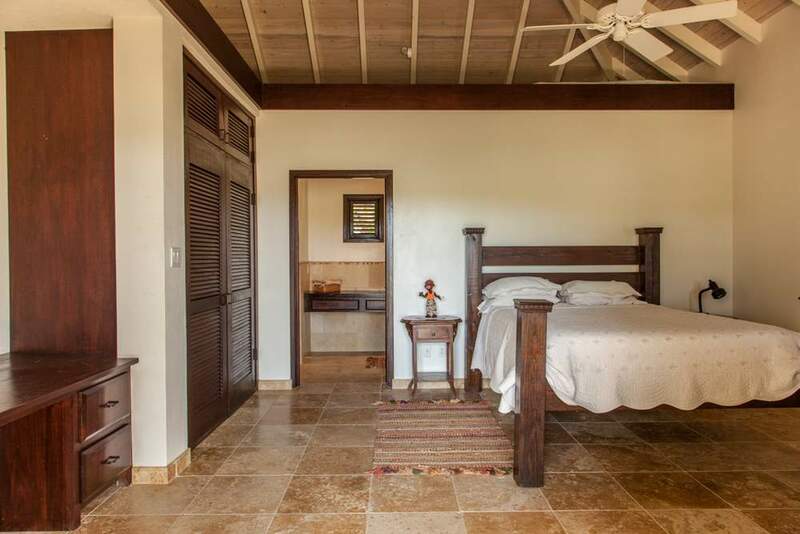 All bedrooms are spacious and nicely decorated, with ceiling fan, offering views of the sea. 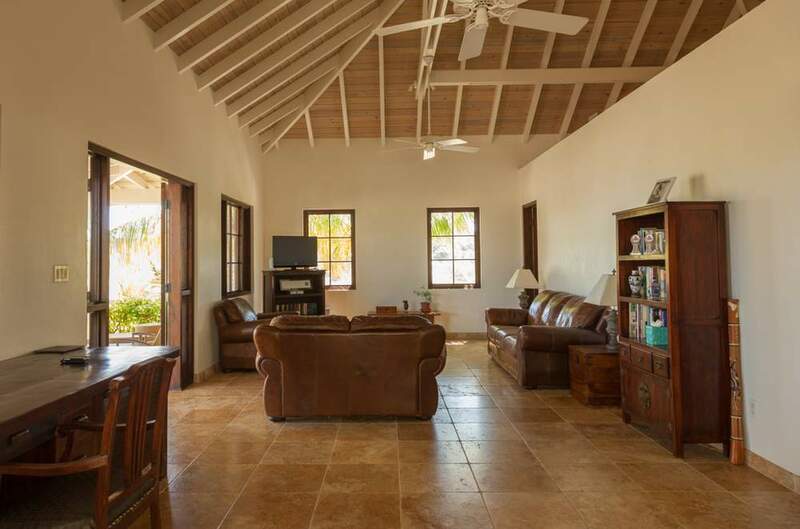 The first quarter also includes a living area with Cable TV, DVDs player, Nintendo Wii, and numerous books. 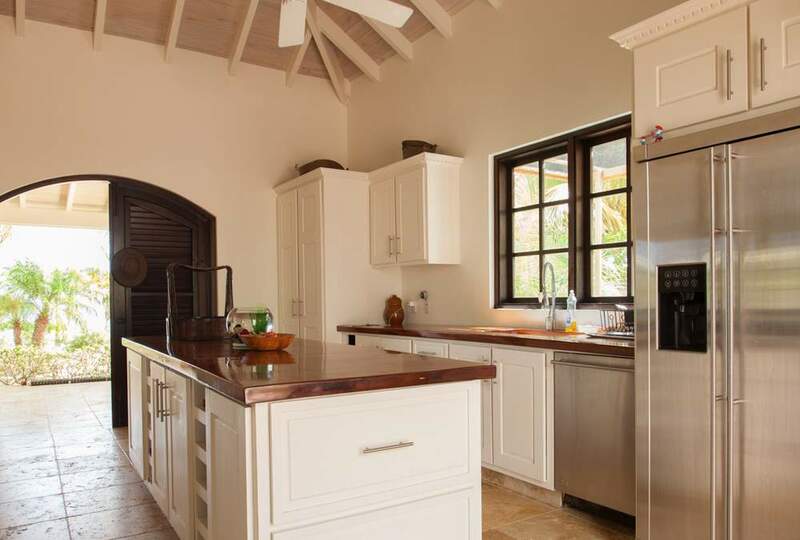 The spacious and well-designed kitchen is fully equipped with stainless steel appliances and the island in the middle adds extra cooking space and storage cabinets. 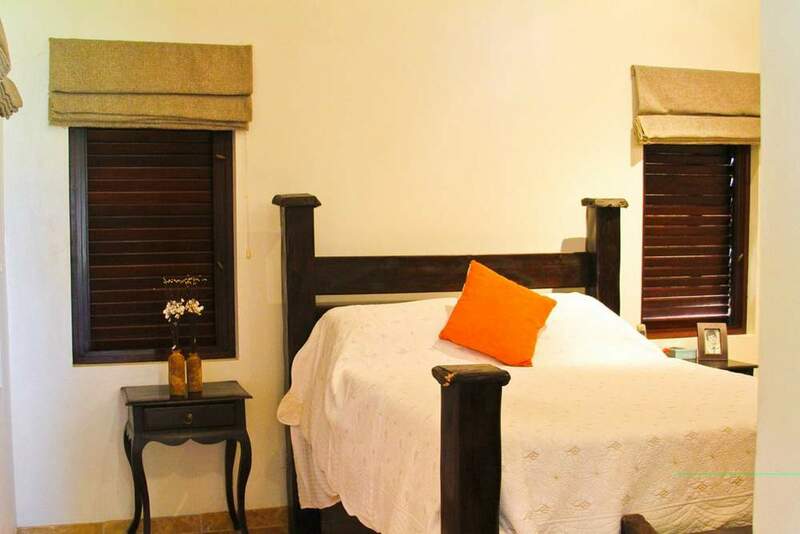 The living and dining room are set in a well-decorated room furnished with gorgeous furniture. 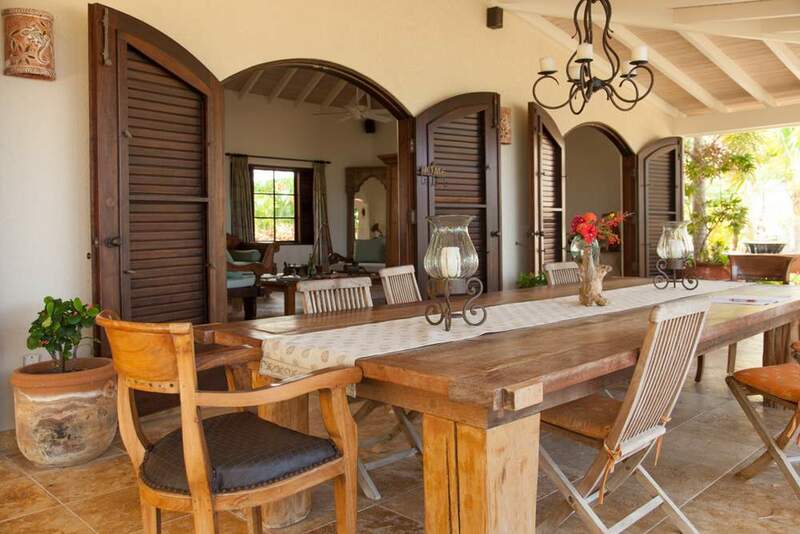 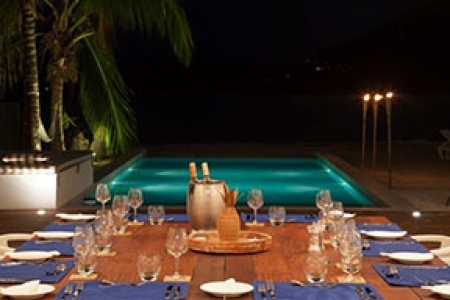 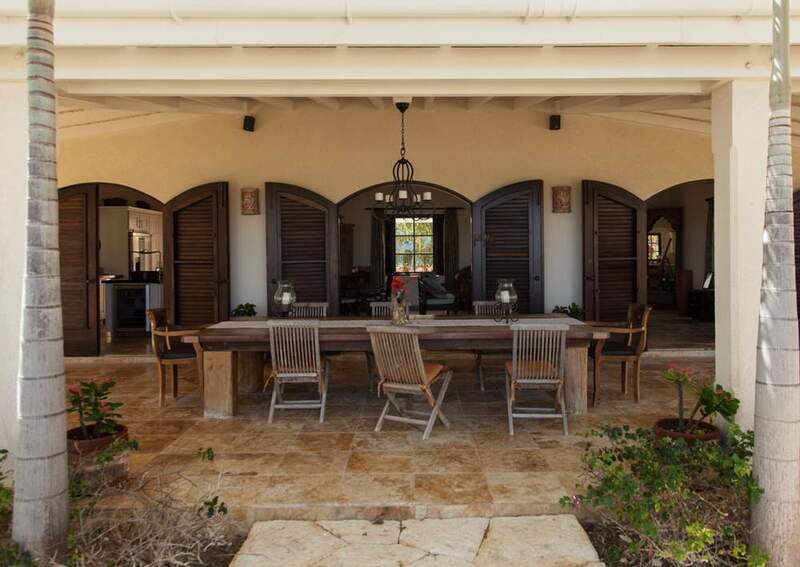 Crafted wooden doors open on the patio with banquet-styled dining area where to admire wonderful view of the Caribbean Sea; the perfect backdrop for dinners alfresco. 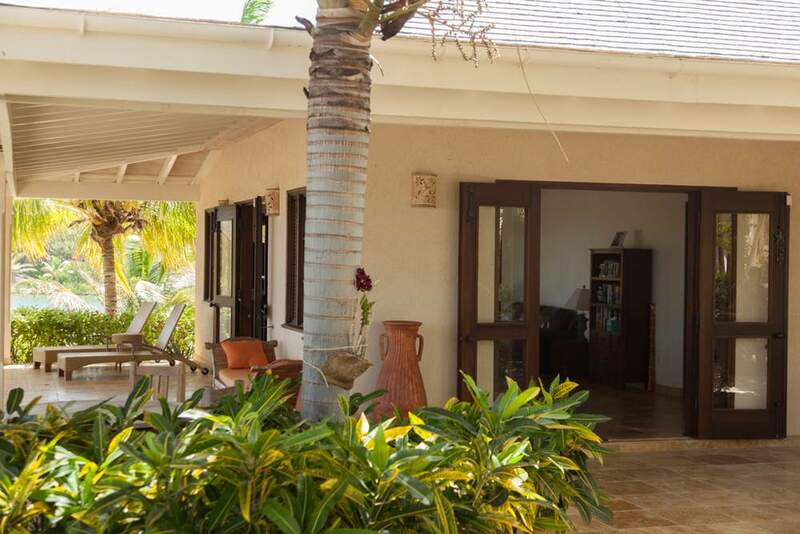 The property is fully-fenced and it is entered via electric gate. 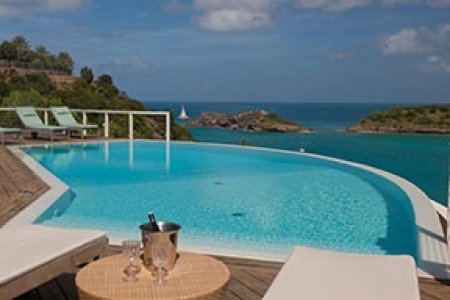 It borders a tranquil bay with its own dock and private beach, furnished with sun loungers and beach umbrellas. 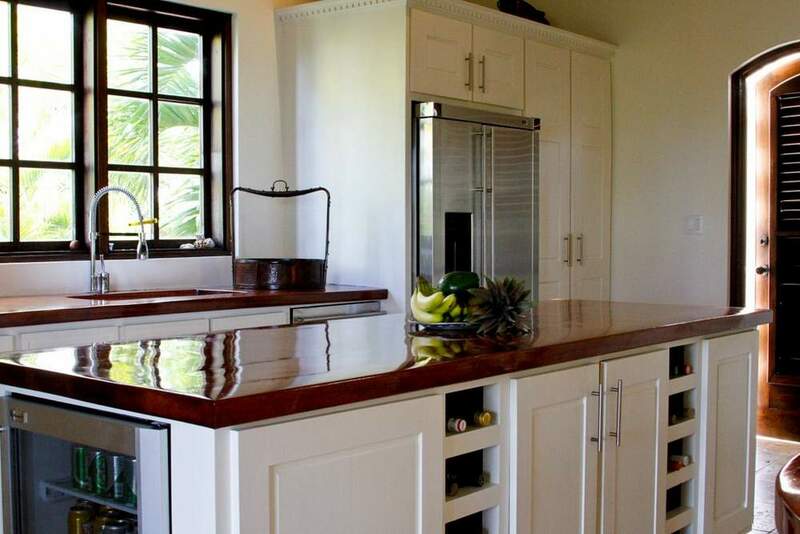 Two kayaks and paddles are also available. 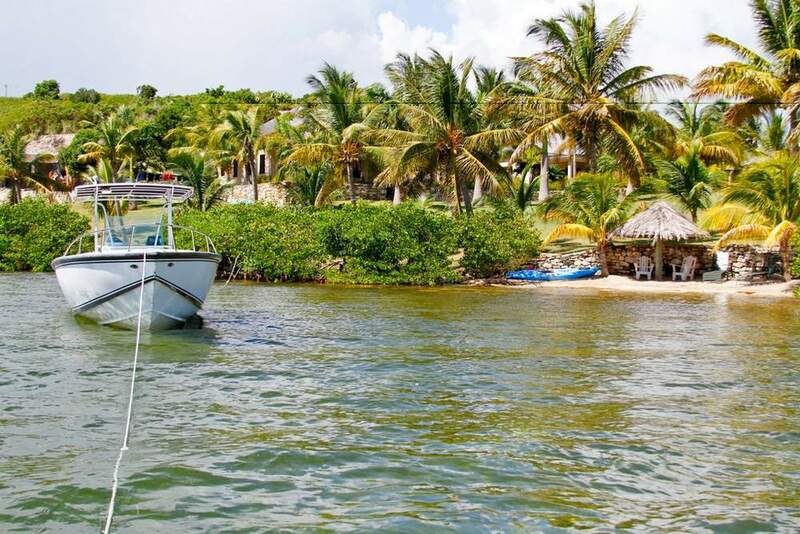 A 28-foot Bowen Marine 300hp motorboat is available for chartering with its own captain. 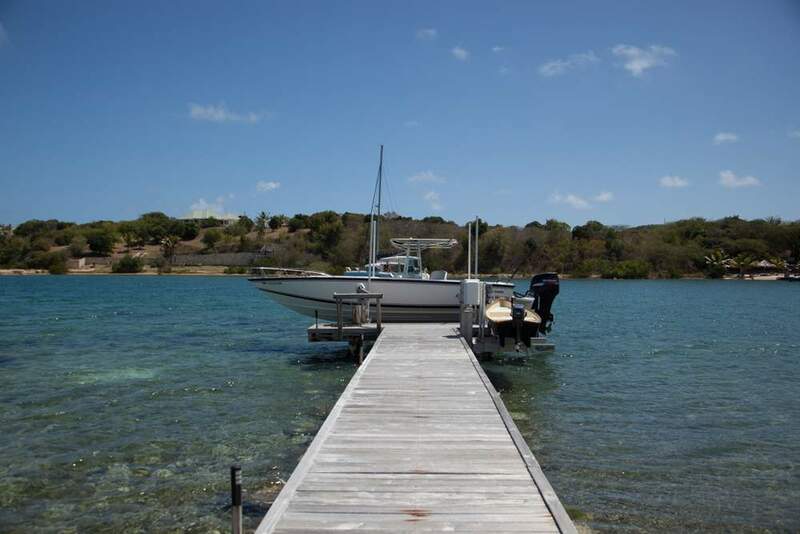 It is perfect for sea based trips and tours, and is an excellent craft for daylong boating adventures. 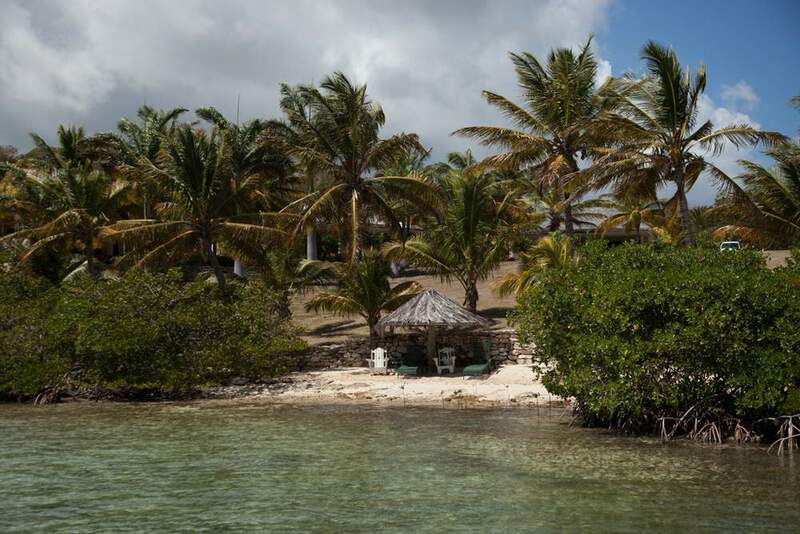 Enjoy your own catch-of-the-day on a fishing trip, have a BBQ on Green Island, or explore the natural anchorages and tiny offshore islands beyond Brown's Bay. 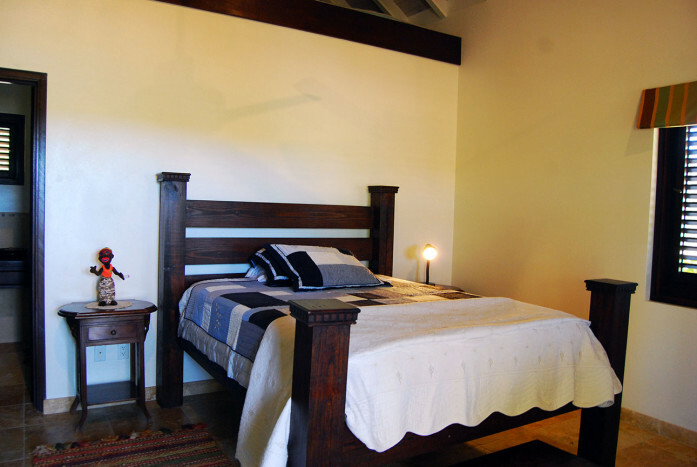 Both 110V and 220V 60 Hz are available. 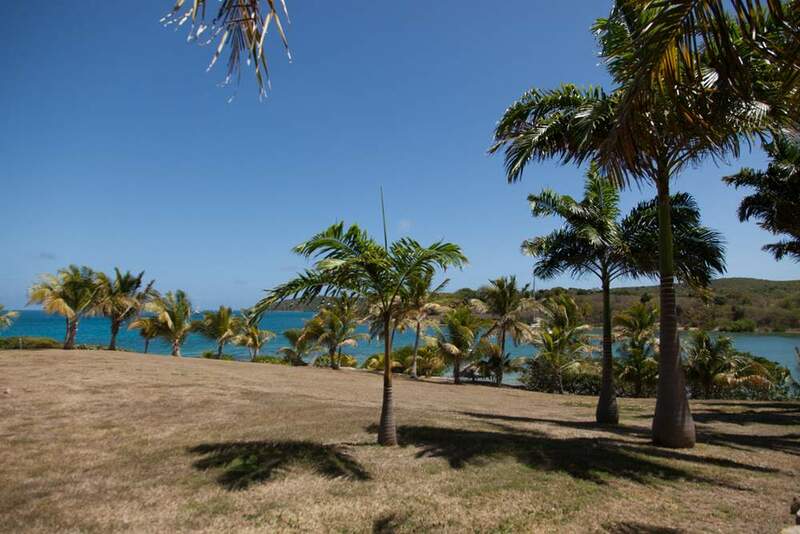 A lovely beach is located a few steps away from the property, here you can swim and relax in an almost private bay. 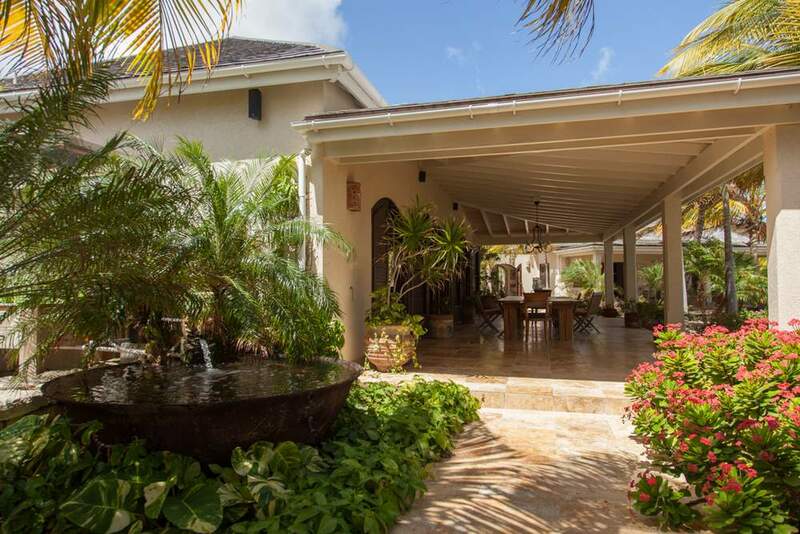 Near the property there is the NonSuch Bay Resort with amenities such as restaurant, little supermarket, sandy beach with water sports to entertain children. 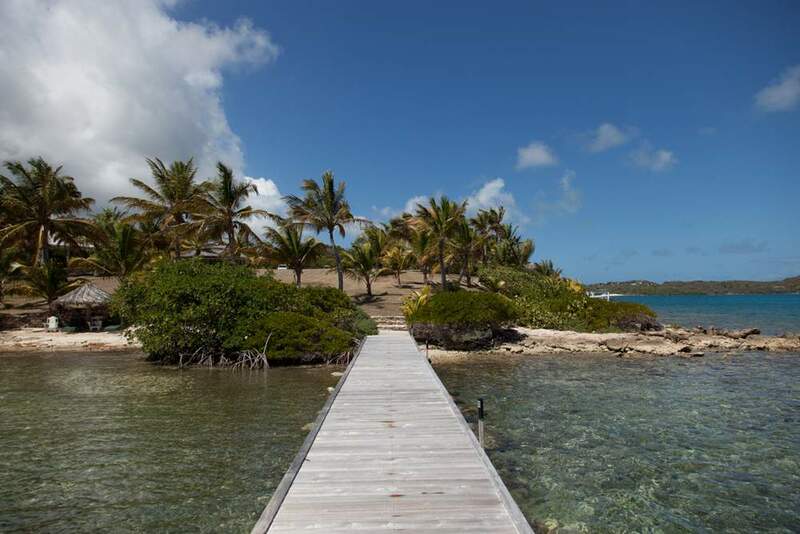 The area offers a constant breeze ideal to sail. 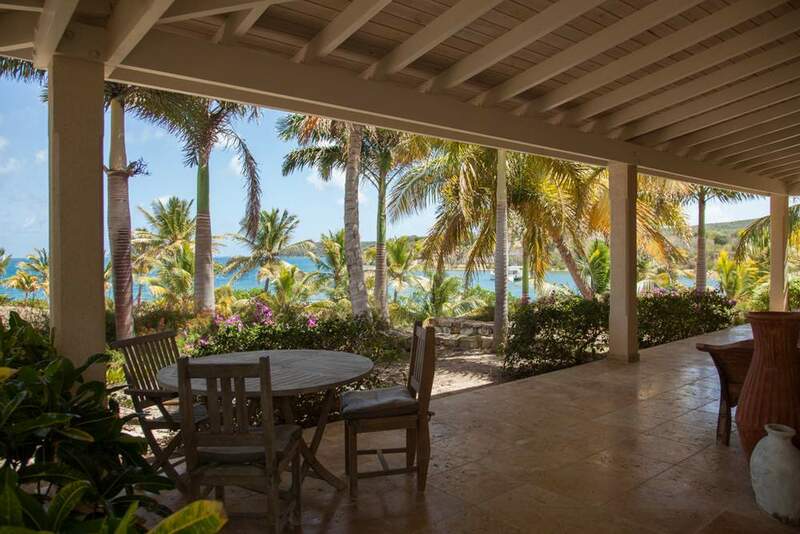 Within ten-minute drive you reach Half Moon Bay, considered the most beautiful beach of Antigua, and within twenty minute drive you will be at Long Bay, a stunning beach with calm waters excellent for snorkelling since a reef is located near the beach. 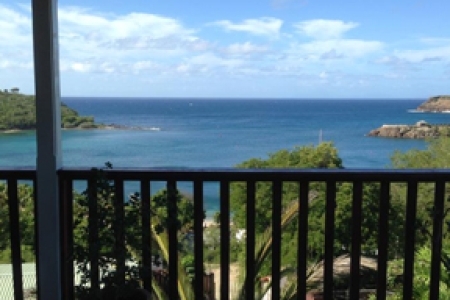 The nearest restaurant is located on a bluff overlooking the sea at NonSuch Bay Resort. 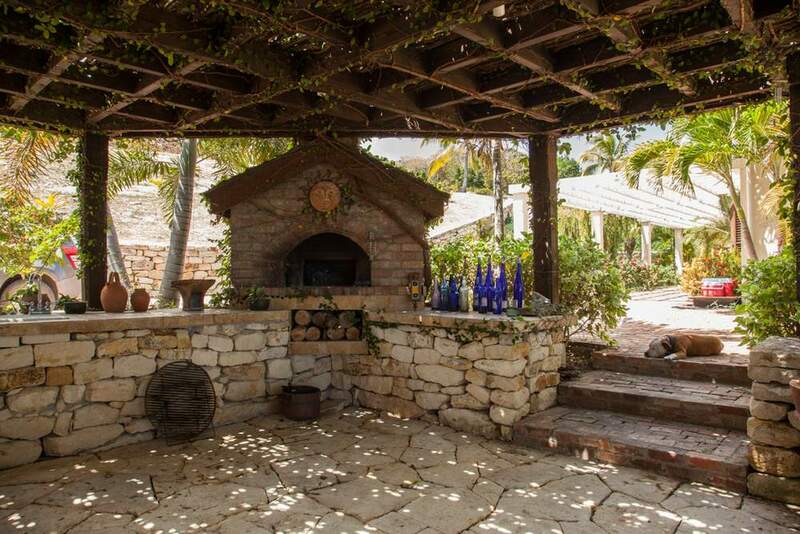 Harmony Hall Restaurant and Art Gallery is at about five minute from the villa, it offers a wonderful settings and a delicious menu. 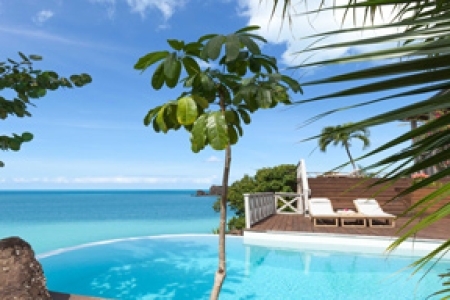 Brown's Bay is located on the south-east coast of Antigua, near to the NonSuch Bay Resort. 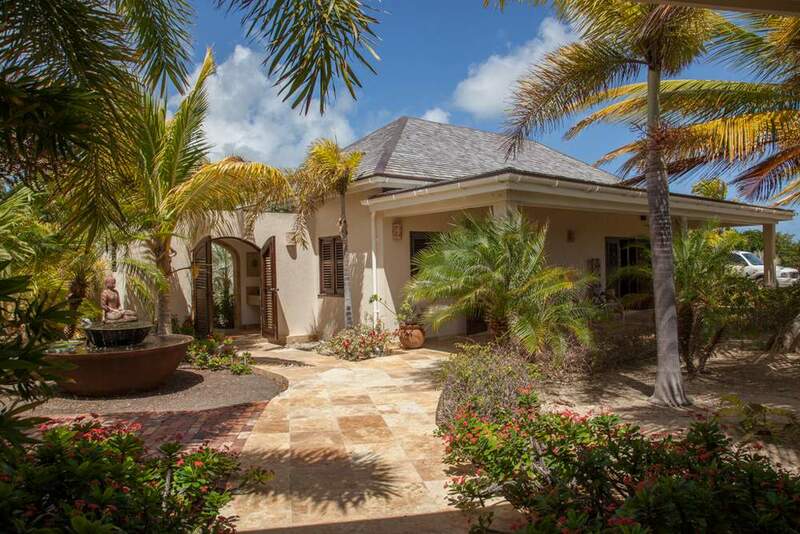 Nonsuch Bay comprises 40 acres of lush garden, offers breathtaking views of the Atlantic Ocean and Green Island, an offshore island accessible with a short boat ride. 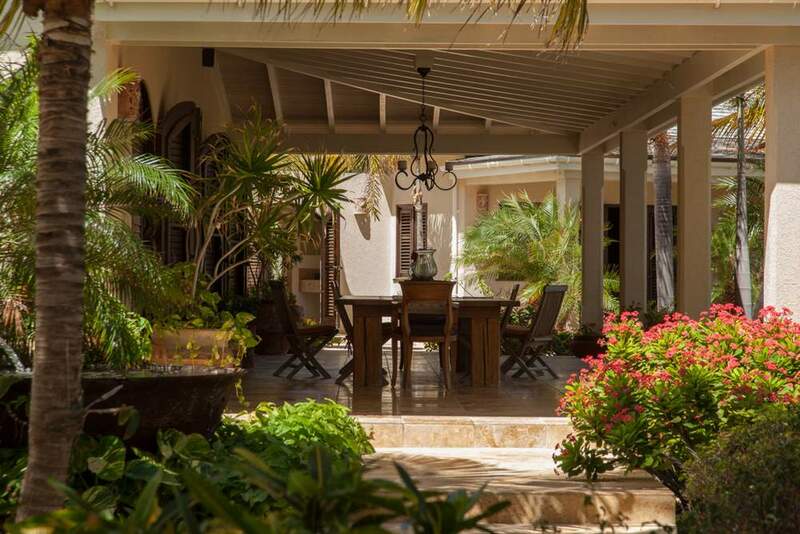 The area offers residents and guests alike an authentic Antiguan experience within this very elegant setting. 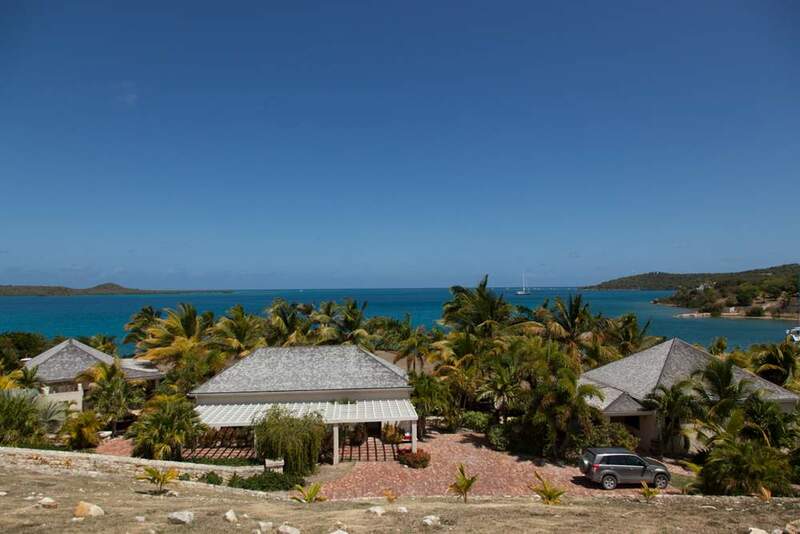 Here are available numerous beach activities such as watersports, kitesurf, sailing, make it the ideal location for the fun of the little ones. 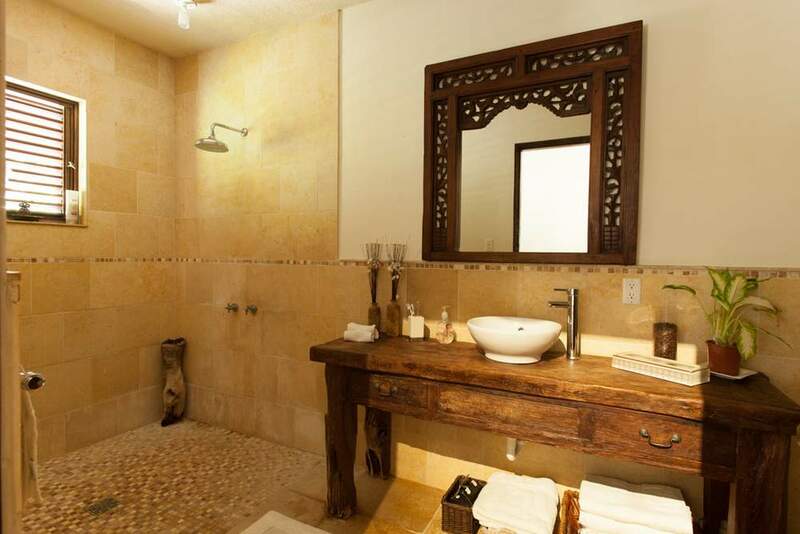 Restaurants and small shop are also found in the resort, along with swimming pools and spa services.